How Often Do I Need to Clean my Carpets in Levittown, PA? 1. How many people live in your household? 2. Do you have small children? 3. Does anyone in your household smoke? The Institute of Inspection, Cleaning and Restoration Certification (IICRC) recommends that you have your indoor carpeting cleaned at least once a year. Larger families, families with pets, and families with smokers in the home will need to clean their homes more often, twice a year or even quarterly if your family is large and you have multiple pets. No matter the size or configuration of your household, OxiGreen in Levittown, PA is qualified and prepared to do the job for you! With 25 years of carpet cleaning experience, there’s no job we can’t handle. 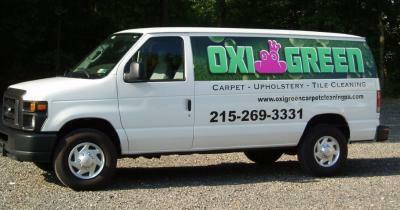 When you choose OxiGreen, you are choosing a 100% green carpet cleaning company. What do we mean by that? All the cleaning agents we use to clean your carpets are environmentally friendly. They are completely biodegradable. We will never leave behind any toxic residue in your carpeting that could compromise the health and well-being of your family, especially your children and pets. Our carpet cleaning process removes dirt, dust mites, bacteria and other potential allergens stuck deep in your carpet fibers. This not only creates a long-lasting clean, but also a healthier indoor environment and improved air quality for your family. Now that’s something we’re proud to be able to do for you! You can reach us at OxiGreen in Levittown, PA at 215-269-3331. We are here to answer your questions about our company and our services. You can also learn more about us and read customer reviews at our website. Become one of OxiGreen’s happy customers today. You’ll be glad you did.